"Sampath Speaking" - the thoughts of an Insurer from Thiruvallikkeni: Humble Rahul...... did Thatcher have any role in Operation Blue Star ? Humble Rahul...... did Thatcher have any role in Operation Blue Star ? Height of humility… time and again Rahul falters….. now Rahul Gandhi has, perhaps unwittingly come close to comparing Modi to Aurangzeb. In an interview to Dainik Bhaskar group, being touted as his first ever exclusive to a daily newspaper, Rahul mostly stuck to his usual bland pronouncements about democracy, empowerment and common people. International events do cast their shadows on National ones and vice versa… but not after decades !!!. Before that remember ‘Operation Blue Star’ ~ the military operation which took place in June 1984, ordered by Prime Minister Indira Gandhi in order to remove Jarnail Singh Bhindranwale and his armed followers from the Harmandir Sahib in Amritsar,Punjab. Bhindranwale was accused of amassing weapons in the gurudwara in order to start a major armed uprising. The events shook and changed the National political scene …. Months after the operation, on 31 October 1984, Indira Gandhi was assassinated by Satwant Singh and Beant Singh, two of her Sikh bodyguards, in what is viewed as an act of vengeance. Subsequently, hundreds of Sikhs were killed in the ensuing anti-Sikh riots. General Arun Shridhar Vaidya, the Chief of Army Staff at the time of Operation Blue Star, was assassinated in 1986 in Pune by two Sikhs, Harjinder Singh Jinda and Sukhdev Singh Sukha. Both were sentenced to death, and hanged on 7 October 1992. As Firstpost reports, Rahul seems to reserve his agression for tearing up Congress/UPA bills and proposals. In this interview he merely says that a Modi government would be “one-man centric” which would not be “good in the national interest”. It’s a rather odd argument coming from the leader of a party that has been unabashedly one-family centric – he is questioning the principal opposition of being man-centric …. forgetting that it is dynasty which is keeping him up there. While the party desperately looks to him for leadership, Rahul with ‘all humility’ confirmed his preparedness to wear the thorn throne…… claiming that “there is no such word as ‘reluctance’ in my life” ~ in the national interest, it is necessary that Congress forms the government at the Centre; and in this direction whatever responsibilities the organisation has given me, I will discharge them with utmost sincerity and honesty. Thank you so much Sir…. Meantime another party which rose to power raising high expectations fo the party continues to be in news for wrong reasons… after stoking controversy with his remarks on Kashmir, Aam Aadmi Party leader Prashant Bhushan has drawn flak for reportedly saying that there should be a referendum for deployment of security forces against Maoists in the affected areas. First Kashmir and now Naxals – his ammunition never seems to run dry !! On the North East, Meghalaya Chief Minister Mukul Sangma today denied having links with any militant group in the Garo Hills region of the state even as Opposition parties demanded a CBI inquiry into the matter. Getting back to 1984 event’s shadows – comes the news that British Prime Minister David Cameron has directed his Cabinet Secretary to establish the facts behind claims that Margaret Thatcher's government may have helped Indira Gandhi plan Operation Bluestar in 1984. Labour MP Tom Watson and Lord Indarjit Singh had demanded an explanation after recently declassified documents indicated that Britain's Special Air Service (SAS) officials had been dispatched to help India on the planning on the aid of the Golden Temple to flush out militants from the shrine. The British Prime Minister has asked the Cabinet Secretary to look into this case urgently and establish the facts," a UK government spokesperson said in a statement issued yesterday night. "The PM and the Foreign Secretary were unaware of these papers prior to publication. Any requests today for advice from foreign governments are always evaluated carefully with full Ministerial oversight and appropriate legal advice," he added. The documents being referenced were released by the National Archives in London under the 30-year declassification rule as part of a series over the New Year. A letter marked "top secret and personal" dated February 23, 1984, nearly four months before the incident in Amritsar, titled 'Sikh Community', reads: "The Indian authorities recently sought British advice over a plan to remove Sikh extremists from the Golden Temple in Amritsar. 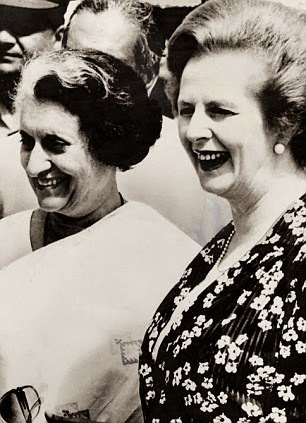 "The Foreign Secretary decided to respond favourably to the Indian request and, with the Prime Minister's agreement, an SAD (sic) officer has visited India and drawn up a plan which has been approved by Mrs Gandhi. The MP is now trying to seek information on exactly the extent of Britain's collusion at the operation blue star.